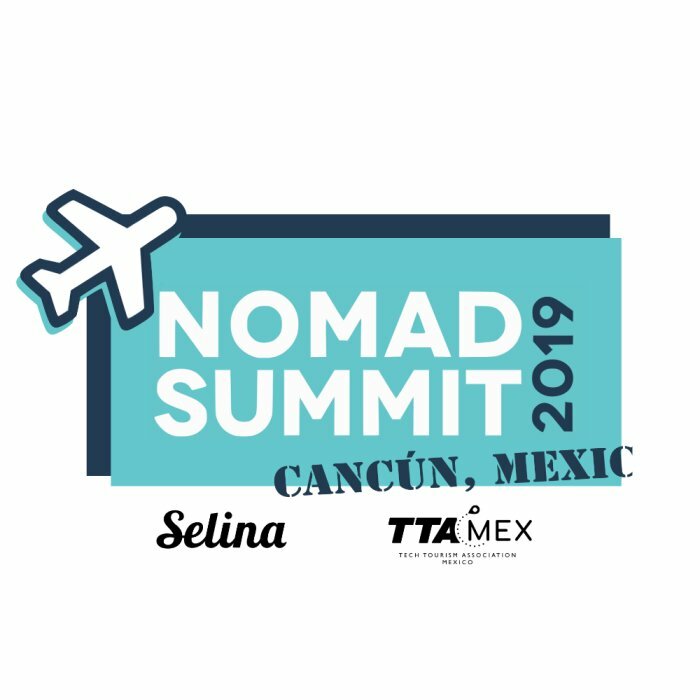 The Nomad Summit conference is coming to Cancun, Mexico with the help of Selina and the Tech Tourism Association of Mexico! Join to meet, learn, grow and level up with hundreds of digital nomads, location independent entrepreneurs and remote workers from around the world! Cancun Airport is a direct flight from most major cities in Canada, USA, and Europe with direct flights from Madrid, Paris, Amsterdam, Brussels, London, Frankfurt, and Munich! 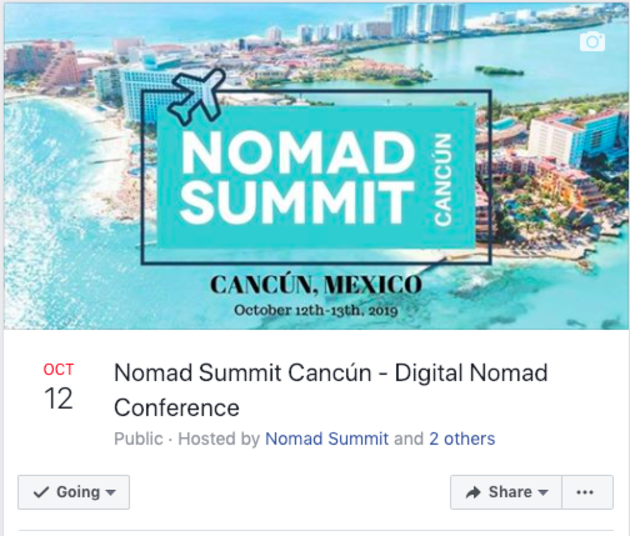 Just a short drive from the digital nomad hotspot of Playa Del Carmen, we'll be having our after events there so come for the conference and stay for the coworking, scuba diving, and traveling! This event will take place on October 12th-13th, 2019 with events before and after. All Nomad Summit related events are for ticket holders only, so make sure you buy your ticket today if you want to join us for the networking, conference, pool parties,and after parties! Buy your ticket today to claim your seat and take advantage of the early bird discounts! Check out a video from our most recent Nomad Summit conference held in Chiang Mai, Thailand earlier this year! Pre-registration, Networking, Music and Sunset Drinks at Cancun Laguna Hotel. Main Conference Day at Cancun Convention Center followed by the Official After Party! Nomad Networking Pool Party at Cancun Laguna Hotel VIP Speaker's Dinner. In-Depth, Small Group Workshops Masterminds. Beach Day Bohemian Sunset Cruise. Travel day to Playa Del Carmen and Coworking. Scuba Diving and Snorkeling Trip! This is our 7th Nomad Summit conference and each year we've brought you amazing speakers, actionable tactics, tips, tricks and leveling up knowledge. This year will be our first event in Mexico and we're excited for you to come! This is a not to miss event, especially if you've ever been to Mexico! The weather in Cancun is perfect in October at 31° / 23° c and 87F / 73F. All Tickets - Water, Coffee, Snacks, and a Buffet lunch is included on the main conference day for all ticket holders! Tickets include access to the networking parties and pool parties. Workshops, alcohol, and special activities are optional and will be charged separately. Buy your ticket today for the lowest price available. Tickets are non-refundable but can be changed to another name until October 9th, 2019. 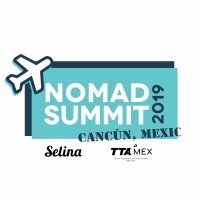 We'll be announcing the speaker lineups, and more info as we get closer to the event, subscribe for the email list at http://NomadSummit.com to get updates! RSVP "I'm Going" on our facebook event page for updates and a chance to win free tickets or an upgrade to your existing seat! Buy a ticket today and if you win, your standard seat will get upgraded to deluxe, and your deluxe seat to VIP seating!